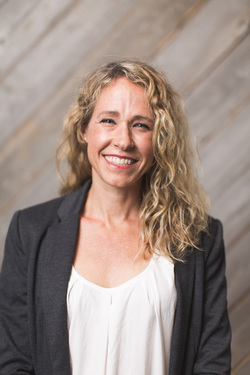 Stephanie Taylor Christensen is the founder of Om for Mom, and a certified prenatal, postnatal and vinyasa flow yoga instructor with more than 500 hands-on teaching hours under her belt. She's also an endurance runner, freelance writer, and work at home mother who believes that yoga should be an intelligently sequenced, but non-intimidating practice, that is invigorating, nourishing-- and fun! She continues her education by regularly attending workshops hosted by renowned yogis like Kathryn Budig, Elena Brower, Stephanie Snyder, and Jason Crandell. "I won't say labor was a breeze, but I certainly believe it was manageable for me in no small part due to Om for Mom. I know definitively that your classes contributed to the ease and comfort of my pregnancy. I will 100% be recommending prenatal yoga to expecting family and friends - specifically Om for Mom to those in the Columbus area." --Courtney H.
"I credit a smooth labor to yoga. Thanks for great prenatal sessions. I look forward to getting back into it!" "I truly loved your classes and will highly recommend them to anyone! Thanks again and I will be back with baby #2 in a couple years!" --Katie H.
"Just wanted to say thanks for the yoga classes. I'm so glad I found them and didn't end up in some of the other classes that weren't as active." --Hena M.
"Thanks so much running such a great class! I have always loathed yoga and thought it could only be worse while pregnant--but I LOVE your class and have really enjoyed it!" --Dawna R.